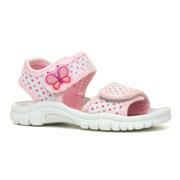 Our fantastic range of kids’ footwear here at Shoe Zone is second to none. 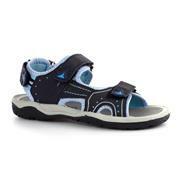 Designed in a way that your children will love, they are comfortable, light-weight and on-trend. Most of all, they are hard-wearing to ensure that they stand up to those rough and tumble times. 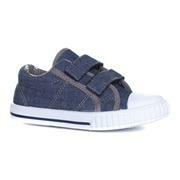 Your children are always growing, which inevitably leads to a constant turnover of new shoes. Our girls' footwear and boys' shoes are available at really competitive prices, so you don’t have to let your children’s growing feet become a financial pain. 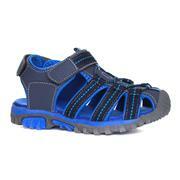 Simply shop for your children’s shoes online at Shoe Zone. We have many well-known brands amongst our collection and we are able to offer a wide selection of kids’ shoes in a multitude of different styles and designs, which are all suitable for all different occasions and activities. 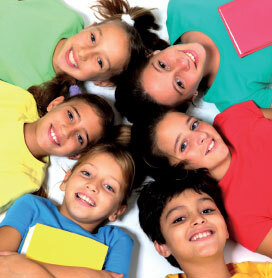 This includes school shoes which we stock in a number of different brands including: Beckett, Walkright and Lilley. 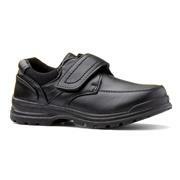 You need your school shoes to look smart and more importantly, go the distance. 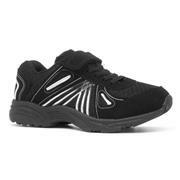 You’ll find plenty of hard-wearing shoes that do both in our girls’ and boys’ footwear sections. We realise the importance of play time where children are concerned; which is why we have worked carefully to stock a varied selection of durable kids' trainers, boots, canvas pumps, flip flops and sandals. Each of our pairs of shoes are attractive and appealing for little ones, with bright colours, funky features and even some of their favourite TV and film characters! 449 products from £0.99 to £39.99.